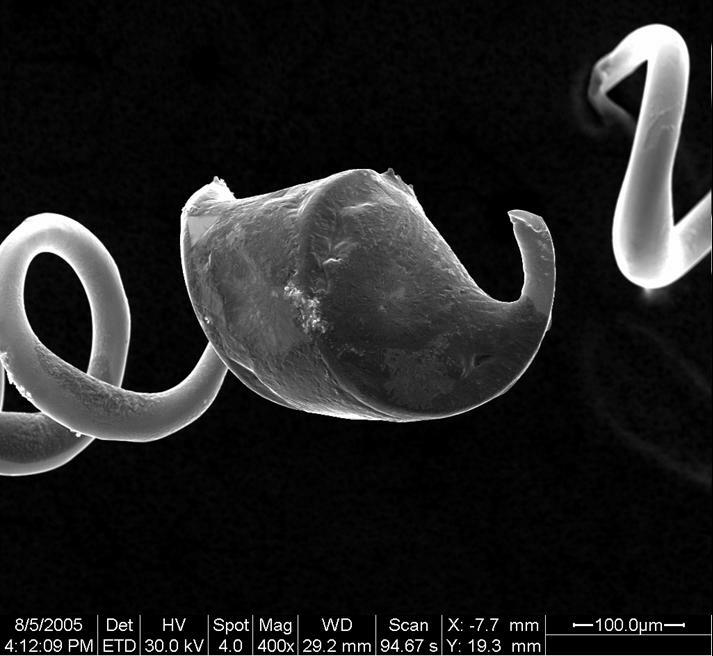 Splattering carbon-saturated molten nickel against a glowing tungsten filament produces a surprising feature. Notice the small equilateral triangle on the left end of the otherwise gnarly nickel lump. 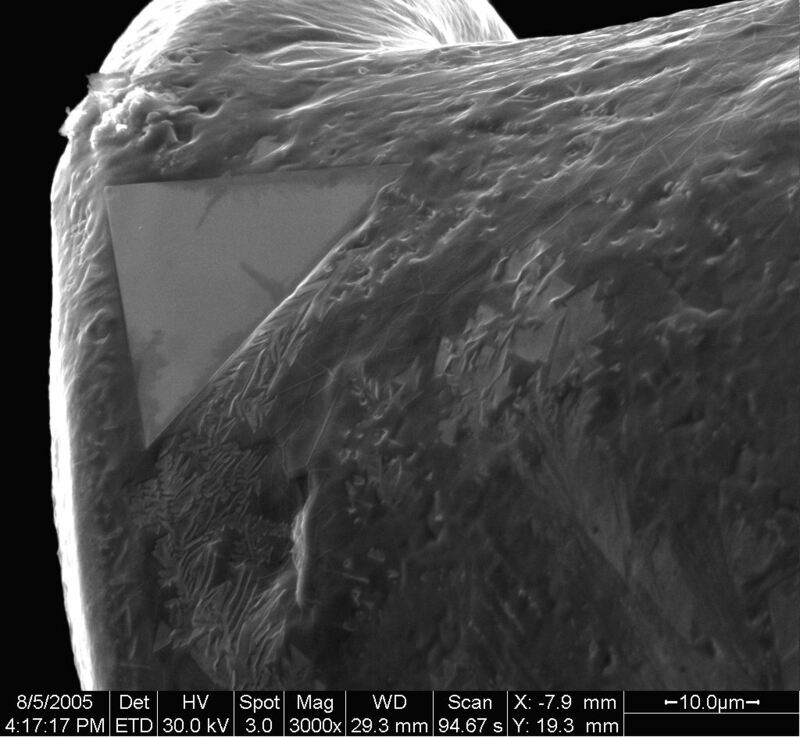 Close view of the crystallite. Raman analysis reveals graphite in the triangle. X-ray microanalysis reveals a high concentration of tungsten, which appears to be the magic ingredient that makes the crystals triangular, rather than hexagonal. 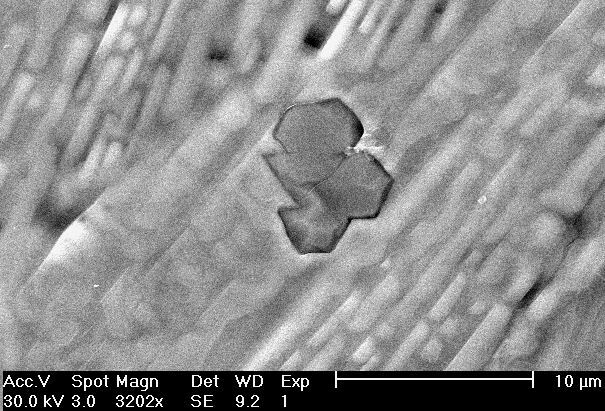 This nearly hexagonal graphite crystallite swiftly precipitated from iron is more typical than the triangular crystallite shown above. 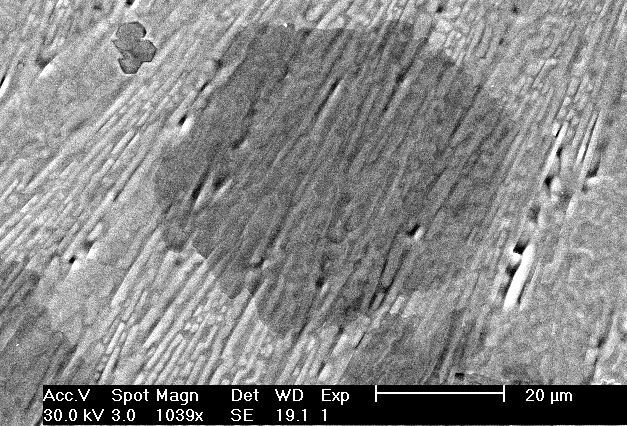 This small crystallite, visible to the upper left of the larger crystallite, at left, seems to be biting into the iron surface. The tendency of small graphene molecules to spontaneously curve to reduce edge energy has been noted in the fullerene literature.